City's top scorer is close to a return to playing after a month out with a hamstring injury and in the last week has been linked with a move to Newcastle Utd. "We've had one enquiry for him and Jay knows about the enquiry," said Dave Jones, who refused to name the club involved. Asked if it was a Premier League club, he said: "Well I would hope so. 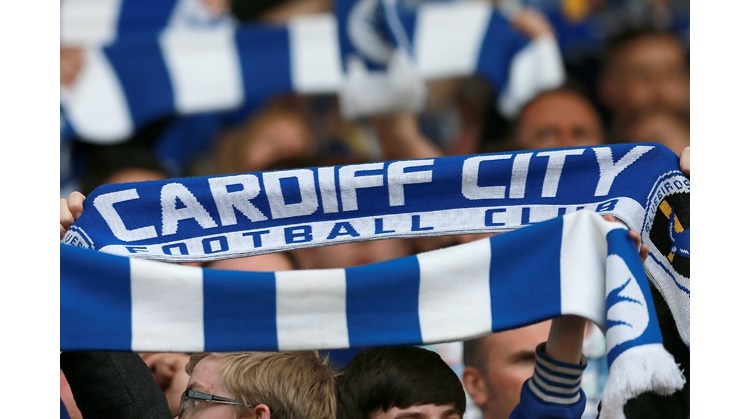 If it was someone in our division or below what is the point of him leaving Cardiff?" Today though Newcastle boss Alan Pardew has said he's covered in the striking department. "I have been really buoyed by Shola (Ameobi) and Leon (Best) - they may just have saved me a problem looking elsewhere," he told the Evening Chronicle. "This has altered my thinking in the transfer window. We might be looking to improve in other departments now." Bothroyd is out of contract this summer so is free to open talks with other clubs already. Ideally Cardiff would like Jay to sign a new contract but if that's not going to happen they then either take a knock down fee for him now, or risk losing him for free in the summer. In my view Jay will move to the Premier League before next season kicks off. Cardiff's best chance of keeping him is if they get promoted and Jay signs up with City as a Premier League club. I think (from a Cardiff fans point of view) that both the club and the player should see the season out together. "I'm sure Jay won't mind me saying: Jay wants to stay at this football club," said Jones continued. "Even the club we spoke about, Jay says he doesn't want to go to. "We said no [to the approach] and Jay knows about it, because his contract is up in June and people think they can come and take him for a measly amount of money. It's not worth what we are trying to do. "So keep him and get the best out of him and then if he decides to stay with us or he decides to leave then that's what we will do. He wants to try and sort it out here, but he is entitled to try and get the best deal for him. And Jones added that even if Cardiff accept an offer from another club, Bothroyd can reject it. "If we want him to go because we have been offered vast amounts of money then Jay can say no because he is under contract," added Jones. "We are trying to get him to sign here and I even spoke to Jay yesterday in training about trying to get some sort of deal done, and that is ongoing. "But he is in his rights to do what he is doing and that is the way the football world is at the moment, and they are quite entitled to see out their contract and see what other offers are around. Is there anything wrong with that? "It's up to us and up to him to come to an agreement that satisfies all parties, and if we can't satisfy all parties and a decision will be made either way."